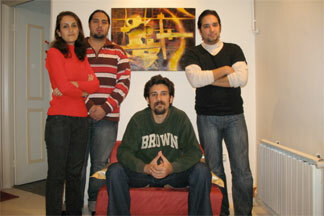 Mavara was founded by keyboard player and composer Farhood Ghadiri in Karaj, Iran, in fall. The band had an interview with local radio and they introduced their music and activities; after that they performed some concerts in Tehran and Karaj. Mavara also took part in a music festival in "Elm o Sanat" University (IUST) and preformed some tracks from their first album called "Ultimate Sound", which was released in 2007. The band's second album is "Forgotten Inside".